The overuse and over-prescription of Antibiotics has been receiving a lot of attention in recent news, and for good reason. The practice is expensive, wasteful and dangerous. 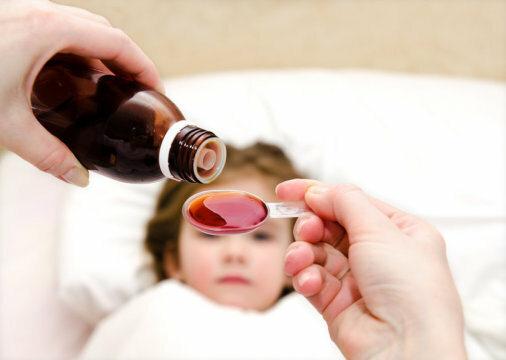 As these colder days are known to bring on seasonal illnesses, this month we are going to address the pros and cons of antibiotic use and other treatment options for your little one and yourself! We all remember the old days. You’d have a bit of lung congestion or a ringing in your ear, go to the doctor, and bam! You had painkillers in one hand and a prescription for a Z-Pack in the other. We didn’t think twice about it. You had an infection, you took an antibiotic, done. Medical research and recent developments suggest, however, that this is not only unnecessary, but could actually be causing more harm than good. You’ve probably already heard that you can build immunities to antibiotics, rendering them less effective over time and when you need them most. What you may not know, however, is that antibiotic use can actually produce resistant and aggressive bacteria that can then be passed on to others. The amount of antibiotic-resistant bacterial infections has increased dramatically in recent years, sending researchers scrambling to form newer, bigger, and better drugs. This, however, may only serve to exacerbate the problem. We have to reduce our dependency on antibiotics. The good news is most illnesses for which antibiotics are prescribed don’t actually necessitate them at all. Antibiotics have absolutely no effect on colds, one of the health issues for which they are most commonly mis-distributed. Even if there is nasal discharge, and yes, even if it’s green, that is not necessarily indicative of sinusitis, and may not require an antibiotic. Neither does the flu, unless there are other complications, and that goes for ear infections and lingering coughs as well. The general attitude surrounding illness and antibiotics needs to change, and the change is this: rather than defaulting to antibiotics as we have done in the past, we need to begin asking ourselves, “What are the other options available?” Because, chances are, there are many. Antibiotics can no longer be seen as a harmless quick fix, because they are anything but. To avoid additional health complications, they must be regarded as a last resort. When you bring your child in for treatment at Tribeca Pediatrics, or any other clinic for that matter, feel free to ask as many questions as you wish about treatment options and antibiotic use. And trust your gut. If you ever feel unnecessarily pressured to give your child antibiotics, it may be time to find another health provider. And lastly, here’s another tip on how to prevent creating more pesky, resistant bacteria: avoid eating meat containing antibiotics. Over 80% of all antibiotics purchased in the U.S. are given to livestock, and that means they are present in the meat you buy in stores and restaurants. Though this is not a 100% guarantee, buying certified organic, American grass-fed certified, or certified humane meat and dairy products should reduce your antibiotic intake as well.